Some things are destined to let you down. To fail to live up to the hype. The new movie that everyone is raving about. The hot restaurant that you just have to try. New Coke. I was (ever so slightly) worried that the Grand Canyon would end up on this list. 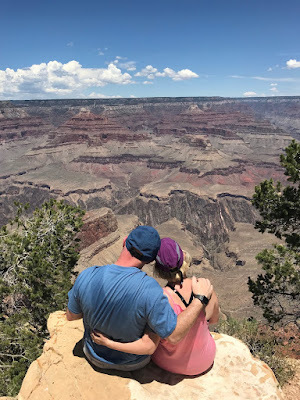 That we'd make the two-plus hour drive from our hotel in Sedona, walk up to the rim, take a gaze, and say, "Eh, it's a giant hole in the ground; let's go." I'm happy to report that was not the case. The Grand Canyon very much lives up to its hype, its moniker, and its status as one of the seven natural wonders of the world.